* optional: brown running shoes, and a turkey hat. 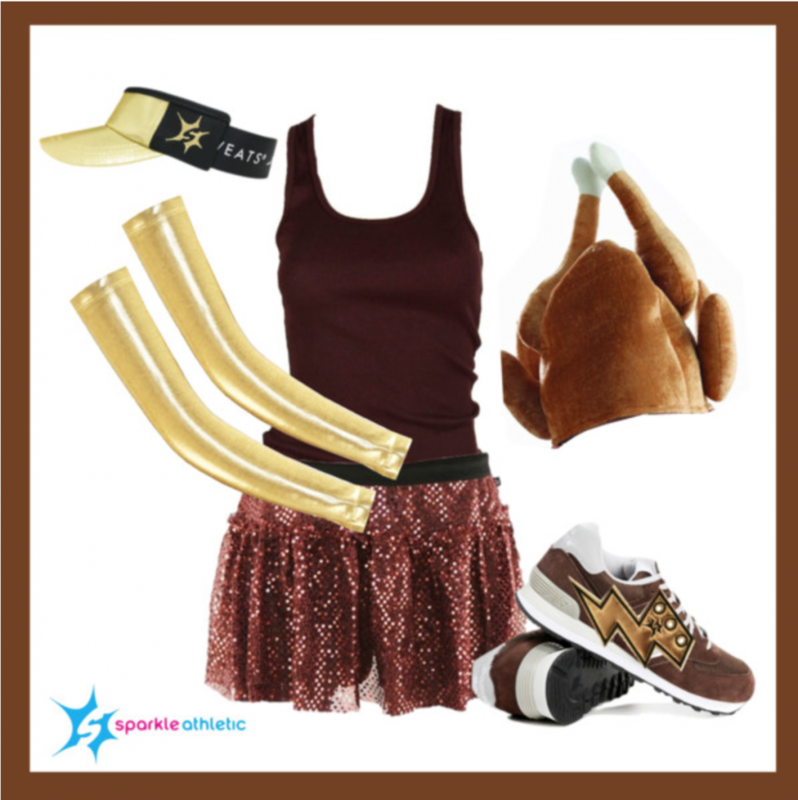 Get NEARLY everything you need for your Turkey Running Costume here. Assembling the turkey running costume is pretty self-explanatory… but once you’re dressed, voilÃ ! A quick and easy costume that is perfect for a Thanksgiving run or turkey trot.